The Mt. Airy Art Garage (MAAG) is thrilled to announce our partnership with Philadelphia Theatre Company (PTC) for the 2018-2019 Season! 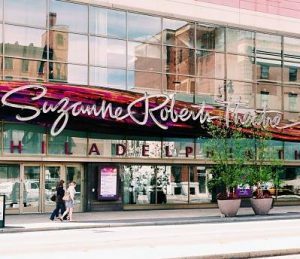 You will have three opportunities to experience both theatre and fine art under one roof at the Suzanne Roberts Theatre (480 S. Broad)! So stay tuned for our city-wide call for artists! PTC’s line up includes Pulitzer Prize-winner Sweat by Lynn Nottage, a World Premiere production from the Kilroys’ List with How To Catch Creation by Christina Anderson, and the Tony Award-winning musical The Bridges of Madison County. These complex and beautifully crafted stories from three award-winning female voices center around women and their experience — their relationships, their untold stories, their triumphs and their power. The accompanying fine art and handcraft exhibitions will build upon these themes. 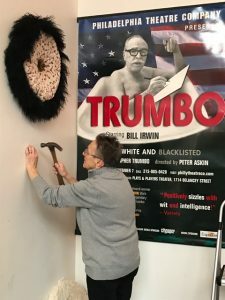 The season will continue with the Philadelphia premiere of The Bridges of Madison County, with the accompanying photography exhibition of The Road Not Taken. The show will run from Feb. 8 – March 3, 2019. In this soaring romance, Francesca Johnson, a beautiful Italian woman who married an American soldier to flee war-ravaged Italy, looks forward to a rare four days alone on her Iowa farm in 1965. However, her quiet escape is upended when ruggedly handsome National Geographic photographer Robert Kincaid pulls into her driveway seeking directions. What happens next in those four days may very well alter the course of Francesca’s life. The conclusion of the season will feature the world premiere of How to Catch Creation, an inspirational story running March 22 – April 14, 2019. In the mid-1960s, a black, queer, feminist writer’s life is changed when her girlfriend tells her some unexpected news. Fifty years later, the reverberations of that moment still echo in the lives of four individuals in the rapidly changing city of San Francisco. Christina Anderson’s stunning and complex examination of the universal act of creation—creation of life, of family, of art—spans space and time to inspire a new generation of makers and lovers. So it only makes sense that our final MAAG exhibition for the season is Makers and Lovers. Stay tuned to our website, on FB, Twitter, and Instagram as we share more information on MAAGs Open Call for Artists — or just stop by our gallery at 6622 Germantown Ave.